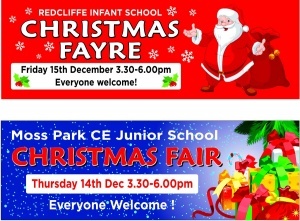 Do you need a Printed Banner to Promote Your School Christmas Fair ? 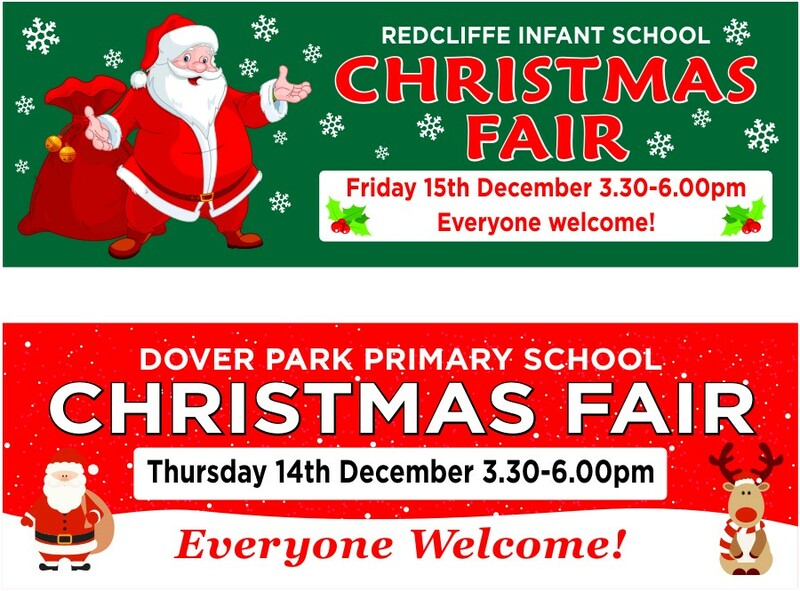 Printed in full colour using UV based fade proof scratch resistant inks our School Christmas Activity Banners are available in a choice of two durable PVC banner materials. 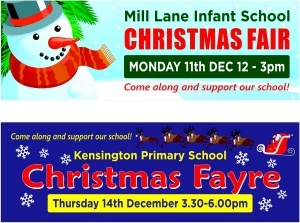 Our range of PVC School Christmas Banners are suitable for either internal or external use. 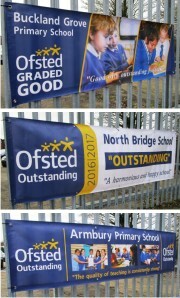 Printed pvc banners are waterproof and feature reinforced, folded hems which are then welded and have eyelets fitted. 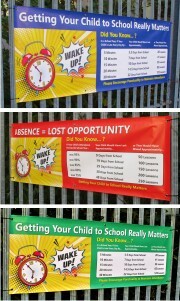 Available in a range of 7 standard designs these 6ft x 2ft (1828 x 610mm) these banners are designed for maximum impact. 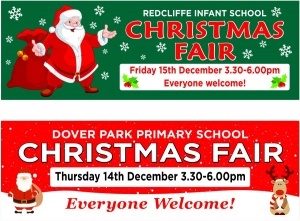 We ask that you send us details of your event dates and times. Our designers will then use this information and send you a colour proof along with our written price confirmation for your approval. 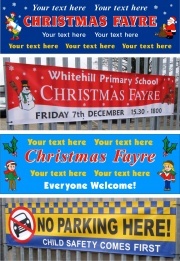 We will only ever proceed to print your new School Christmas Banners after we have received your signed proof. self adhesive strip showing your new dates and times that will simply stick over the printed date and time panel.